Our solar PV solutions enable businesses to not only reduce their energy spend, but to earn money from any excess energy supplied back to the grid. 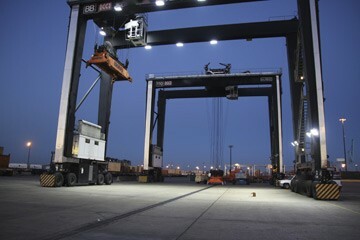 We have LED lighting solutions for all types of business, ranging from warehouses to colleges & schools. One of the greatest complements to sustainable energy is, without a doubt, LED lighting. Unlike previous generations of electric lamps, LED lights use a minimal amount of energy and are capable of lasting a very long time. It is possible for LED bulbs to last as long as twenty years. One of the things we are so excited about at Big Green Switch is having the ability to help businesses in the UK tap into an endless supply of free energy from the sun. Not only does this significantly cut operating costs but it also helps to reduce carbon emissions in keeping with Government’s Green Deal. We have a proven record of delivering sustainable energy solutions on time and to budget. All projects are completed with absolute professionalism using the best quality products and materials, with realistic return on investment calculations based on our clear, transparent pricing structure. Honesty is the best policy and we pride ourselves on completing all projects with integrity, not just for our clients but also our suppliers and subcontractors. We have dozens of successful projects to our name, a testament to our professional consistency. We are committed to providing the very best sustainable energy solutions for our clients using a mix of new and mature technologies. Our attention to detail and post-completion customer care ensure absolute satisfaction with the service we provide. Big Green Switch is a trading style of Perfect Sense Energy. We have been trading since 2010 and work nationwide from our base in Manchester. 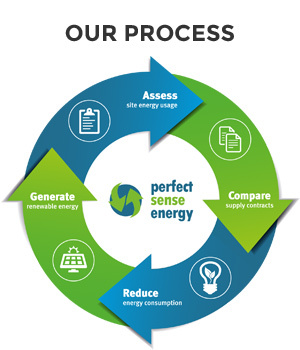 We work on all manner of sustainable energy projects, with our primary focus being business cost reduction. Our tried and tested process establishes clear project objectives from the outset with transparent pricing and return on investment calculations, before delivering on those objectives using a phased approach. 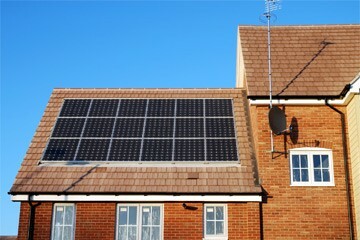 Initial contact with our energy advisor was very efficient and informative with all the facts available. The installation team of three were very good, helpful, informative polite and clean. All items of admin were confirmed quickly, clearly and concisely. Very pleased with all aspects of the work and the people concerned. We would have no hesitation in recommending you to other people. We are very satisfied with the standard and quality of the installation and with the conduct of the team. Clean and tidy site left in good order. Administration is efficient and thorough. Overall pleased and satisfied with both product and service. I have already recommended you to our relatives, friends and neighbours. We found the experience of working with your company a pleasure, from our initial call to meeting your advisor, we were dealt with politely and professionally. Your information and paperwork was much clearer than other quotes I’d had and I was delighted with the information you put forward. Your installation team was smart, presentable and polite to both us and our neighbours. We would be very pleased to recommend you to others. Our promise is to provide our customers with a service which is truly value for money with solutions which also clearly benefit the environment.